It's taken a little while but the kitchen has finally opened, so breakfast and lunch is available to go with some of the best coffee you'll find in this neighbourhood. 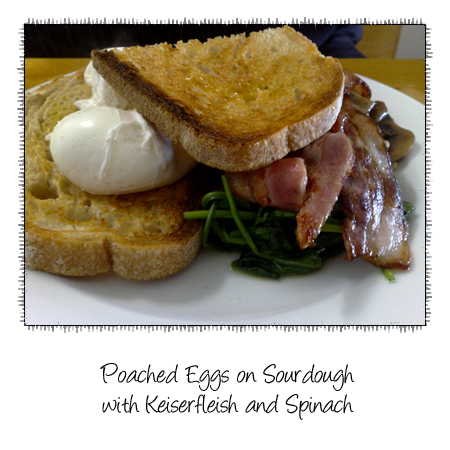 Good sourdough, crispy bacon, buttery spinach and runny eggs - ticks all the boxes. 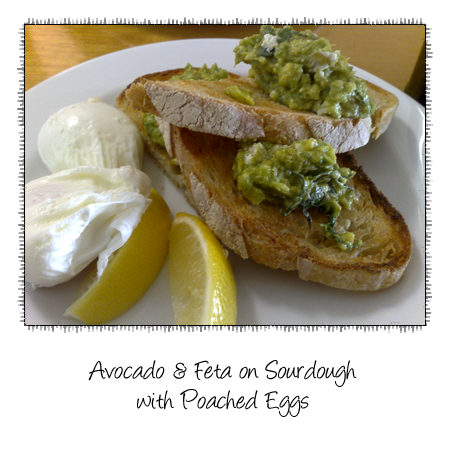 The avocado is mixed with feta and some dill, served on that same sourdough and perfect runny eggs.